Laos, a landlocked country in Southeast Asia bordered by Burma, China, Vietnam, Cambodia, and Thailand has a total land area of 91,429 square miles and a population of over 6.3 Million. Its rugged mountainous terrain is thickly forested with a few plains and plateaus. Subsistence agriculture is still the major source of employment. The country, rich in mineral resources, receives investment aid from various international sources for developing its immense coal, gold and copper deposits. Tourism, metallurgy and hydroelectric power are the main sectors of its economy. Laos is best visited during October and March with December through February being the peak season. The tag-line for tourism is ‘Simply Beautiful’ – amply justified by its beautiful terrain and its Buddhist zen for relaxed style of living. Luang Prabang, Wat Phu, Vientiane, the Plain of Jars region, Muang Ngoi Neua, and the Four Thousand Islands are major tourist attractions. Lonely Planet Laos 978-1741791532 $17 60 maps. A travelers introduction covering about 80 pages followed by region-wise coverage on Vientiane and Around, Northen Laos, Central Laos, and Southern Laos. Vietnam, Laos, and Cambodia Travel Map by Globetrotter 978-1847733559 $9 Includes detailed street plans of major towns and large scale projections of tourist attractions. The first stamps of Laos were a long set of seventeen stamps released in 1951 showing local scenes. The set (Scott #1 to #17) catalogs for around $30 MNH and $12 used. The designs show boat on Mekong River, King Sisavang-Vong, Laotian woman, Luang Prabang, and Temple at Vientiane. Sisavang Phoulivong was King of Laos from 1904 until his death in 1959. As a supporter of French rule in Laos, he was deposed when Lao Issara declared independence in 1945. He was reinstated as King when the French took over in 1946. Vientiane is the capital and largest city. 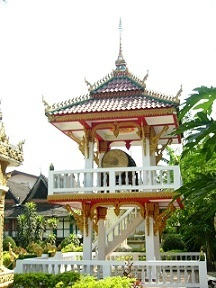 Luang Prabang is another major city in the Northeast located at the meeting point of Nam Khan and Mekong Rivers. A set of five stamps released on May 24, 1956 to mark the 2500th anniversary of the birth of Buddha. The set (Scott #27 to #29 and C20 to C21) is sought after and catalogs for around $60 MNH and $50 used. The design shows Buddha Statue and monks. Theravada Buddhism is the primary religion in Laos and is an important social force bringing together the people of Laos. Missionary work is regulated by the government. The Christian population (1.5%) is pretty much restricted to the capital area and there is a small population of Muslims in the Myanmar border area. A set of three stamps released on June 26, 1993 in the Campaign against Illegal Drugs theme. The set (Scott #1127 to #1129) catalogs for around $5 MNH and used. The designs show drugs and skull smoking cigarette, burning confiscated drugs, and instructor showing danger of drugs to audience. The illicit opium poppy growing region of “Golden Triangle” is partly in Laos. The other countries are Burma, Vietnam, and Thailand. Another set in the same theme was released on June 26, 2000. That set (Scott #1481 to #1482) is also inexpensive and catalogs for around a dollar MNH or used. A set of six stamps and a souvenir sheet released in 1997 in the Elephants theme. The set (Scott #1329 to #1334 and #1335) catalogs for around $12 MNH and around the same for used. The designs show Asian adult elephant, adult holding log, adult and calf, African Bush adult elephant, adult in water, adult, and head of adult. Laos was ruled by the Kingdom of Lan Xang from the 14th to the 18th Century. Lan Xang means the Land of a Million Elephants. A set of fifteen stamps released on March 8, 2000 in the Women’s Costumes theme. The set (Scott #1455 to #1469) catalogs for around $16 MNH and used. The designs show Kor Loma, Kor Pchor, Nhuan Krom, Taidam, Yao, Meuy, Sila, Hmong, Kor Nukkuy, Kor Pouxang, Yao Lanten, Khir, and Kor. A few other sets depicting costumes were released over the years and they are all valued at a slightly premium over regular issues from the respective periods. The first coins of Laos were Aluminum Cents issued in 1952 showing Hole in Center of Head in Obverse and Hold in Center of Flower with Date in Reverse. The issue has high mintage (2M) and catalogs for around $3 in BU. The first gold coin was a proof released for King Savang Vatthana’s Coronation issued in 1971. The design shows Head within Circle in Obverse and Radiant Sun above Statue dividing Elephant heads with lamps flanking in Reverse. The issue (4000 Kip, 0.1157 troy ounces) has low mintage (10K) and catalogs for a premium over bullion value. Coins $1 and up Common UNCs start around $1. UNC Year Sets start around $10. Silver Proof Sets start around $30. Gold Proofs and low mintage silver proofs go into the 100s. Paper Money $1 and up Common UNCs starts around $1. Recent Year Sets start around $10. Bundles start around $25. High Value Bundles, Replacement Notes, etc start around $40. Scarce Specimen Sets, Unopened 1000-piece bricks, Early Bundles etc go into the 100s. Silk, handicrafts, art, statues, tea, and coffee are souvenirs of the region. Art $10 and up 19th century local scenes prints start around $10. Historical Monument prints from 19th century start around $30. Cuban political posters and original vintage paintings start around $50 and go well into the 100s. Antiques $10 and up Vintage Golden Triangle Bronze Bells start around $10. Authentic Buddha statues, Pha Biang Shawls etc start around $100. Militaria $5 and up Vietnam war pins and patches start around $5. Commando and other badges start around $40. Order of merit badges and medals start around $100.